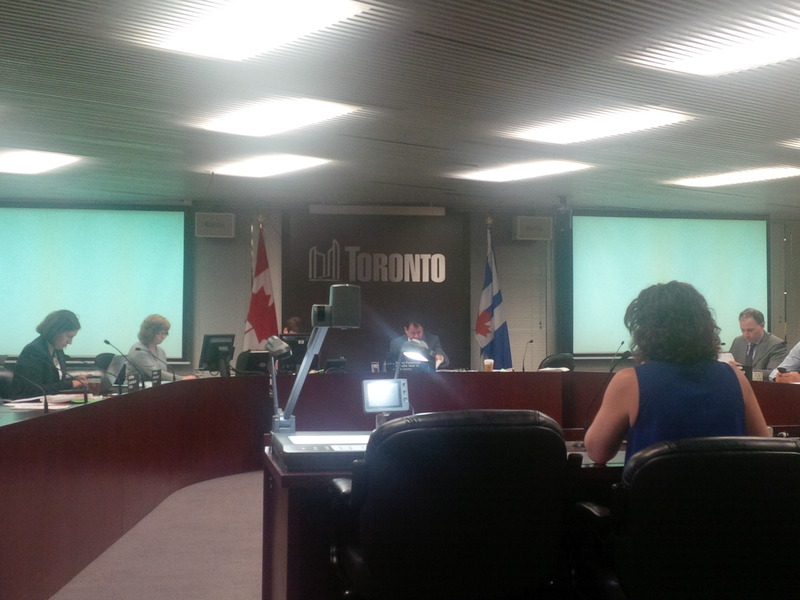 UARR Deputation to Community Development and Recreation Committee, City of Toronto. Good Morning Chair and Members of the Committee. My name is Ilaneet Goren, I represent Urban Alliance on Race Relations. I am also a registered social worker and diversity specialist living and working in Toronto. Today, the Toronto Police Service is presenting a report to the City of Toronto’s Community Development and Recreation Committee, claiming their practices of carding, racial profiling, and handing over non-status migrants to immigration enforcement are consistent with ensuring access without fear for undocumented Torontonians. Today (May 21st) is also World Day for Cultural Diversity for Dialogue and Development, a day dedicated to understanding and celebrating the values of cultural diversity in order to live together in harmony. But in our great city, this harmony is continually violated by carding practices that show no regard for equity, diversity and human rights. To be consistent with the Access Without Fear policy, all city services must be accessible to residents regardless of immigration status. Accordingly, the Toronto Police Service Board was asked to be in compliance with the policy. Without demonstrating what has been done to change their problematic carding practices, the Toronto Police Board now claims it is in compliance with the policy. As a growing body of evidence, numerous deputations, and ongoing feedback from diverse communities show, the reality is markedly different. As many of you know, the practice of random carding – a form of racism in policing – results in Toronto Police stopping Black and Brown people regularly, without providing a reason or an explanation, and without informing these persons of their rights to disengage. These stops are reportedly supposed to be random, and yet they overwhelmingly target Black and Brown people. Therefore, the Urban Alliance on Race Relations (UARR) joins other concerned community organizations and groups today to assert that this report must be rejected. In solidarity, we urge the City of Toronto to step in and demand an end to racial profiling in our city, including police collusion with immigration enforcement. We acknowledge the importance of the Toronto Police Service Board continuing the dialogue with community groups regarding the recently-revised Community Engagement policy. The guidelines and language in this policy have raised some serious concerns from many community organizations, including the UARR and the Ontario Human Rights Commission, which has called racial profiling a major human rights concern in a recent Public Announcement video (available on YouTube). Social cohesion and strengthening of services within Toronto’s diverse communities and neighbourhoods is at the core of this committee’s work. The Urban Alliance on Race Relations, which has been working for 40 years to address systemic inequity in our city, shares this vision. Without addressing the problematic practice of carding, the Committee sends a misleading message from the City: that Toronto Police services are safe and accessible to undocumented residents. This will continue to put many people at imminent risk of deportation, as well as putting great stress on those service providers working hard to assist the most marginalized persons in this city. We therefore respectfully urge members of this Committee to reconsider accepting the Toronto Police Service report without critically examining evidence and reports from diverse community groups representing and supporting those who are most targeted by acts of carding. We also ask that the City demand Toronto Police end racial profiling and work with immigration enforcement to ensure the safety of all individuals regardless of their race, ethnicity, or immigration status.